Baton Rouge, LA – August 23, 2010 – Lamar Advertising Company (Nasdaq: LAMR), a leading owner and operator of outdoor advertising and logo sign displays, has launched a digital billboard campaign across the Gulf Region with the National Center for Disaster Fraud (NCDF). In the wake of BP’s announcement to allocate funds for oil spill victims, Lamar donated space on over 50 digital billboards as part of the NCDF’s campaign to prepare for the potential fraud calls associated with the Deepwater Horizon Oil Spill Recovery. 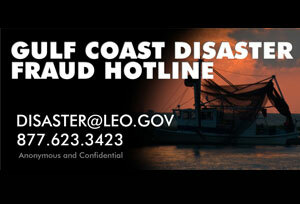 The contact information for the Gulf Coast Disaster Fraud Hotline will be displayed on digital billboards in the Baton Rouge, New Orleans, Hammond, Lake Charles, Monroe, Pensacola, Lafayette, Alexandria and Lakeland markets beginning Monday, August 23, 2010. Collectively, the message will reach more than one million viewers per day. In addition to the current Gulf Recovery effort, Lamar donates digital billboard space on a regular basis to post AMBER Alerts, as well as information pertaining to wanted criminals, non-profit event listings and warnings during natural disasters to help communities nationwide. The effectiveness of digital billboards for such messages was recently demonstrated through Lamar’s successful efforts to help police catch the bank robber that was dubbed the “Granddad Bandit” by the FBI. Lamar teamed up with the FBI and posted a photo of the “Granddad Bandit” that ran on more than 100 billboards nationwide over a four month period. The criminal was arrested in Baton Rouge earlier this month. 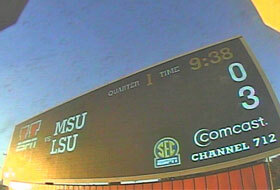 The digital billboards will be posted for up to two months. 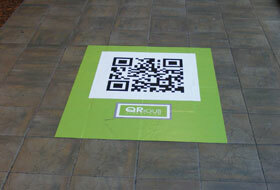 As space becomes available, the campaign could reach up to 15 markets. Commuters in Albany, NY, are currently part of a grand experiment, thanks to Lamar Advertising Company and the Capital District Transportation Authority (CDTA).